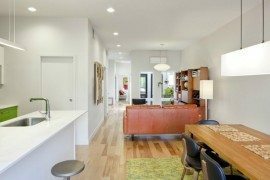 We obviously spend countless hours here at Decoist drooling over the latest renovation projects, amazing villas and expansive homes and design inspirations. 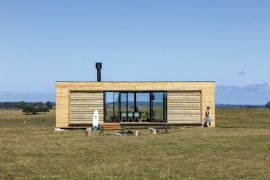 But we do admire those audacious tiny houses and brilliant prefab structures that make housing affordable for one and all. 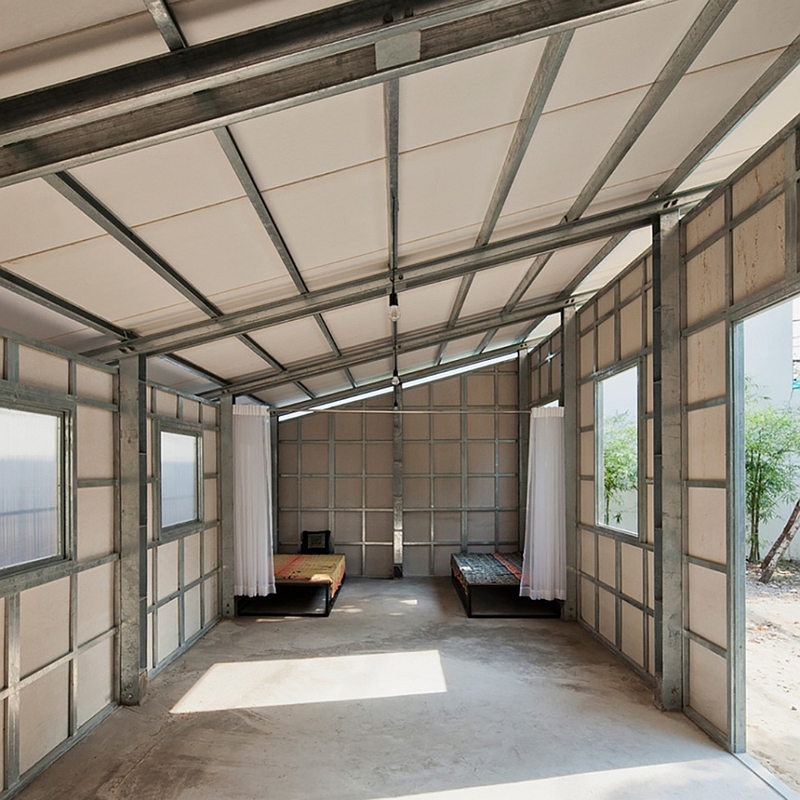 Vietnamese architecture firm Vo Trong Nghia has focused on perfecting an affordable, tiny prefab home and seems to have struck gold with their latest prototype, the S House 3. 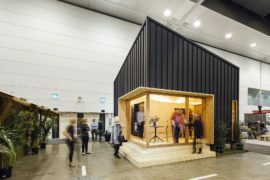 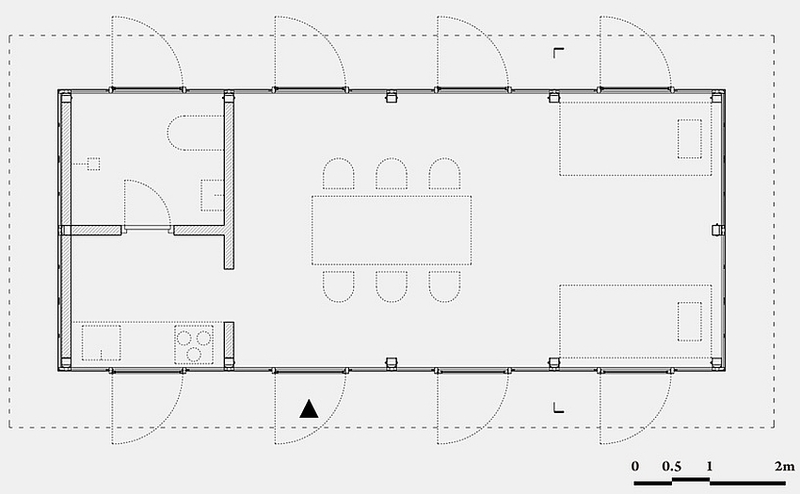 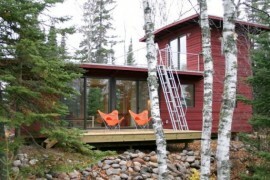 The tiny prefab is designed to offer an elegant, effective and ergonomic housing solution for those looking for a cheap alternative to conventional housing. 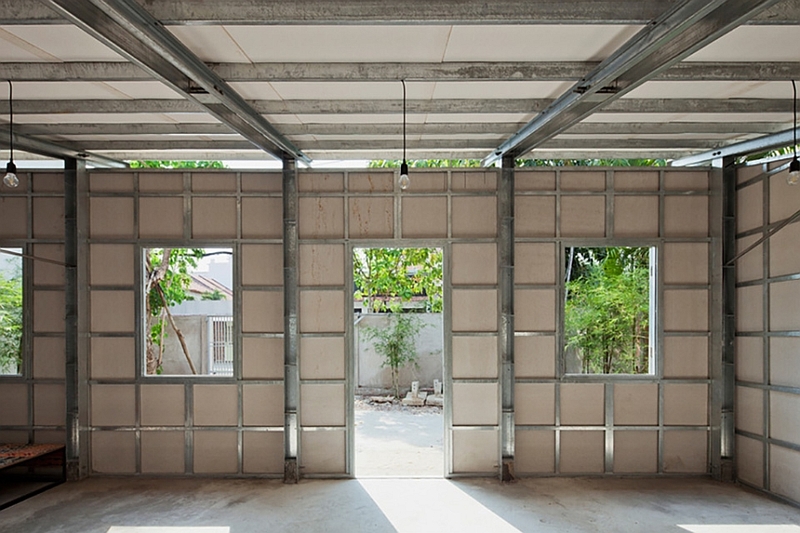 The S House 3 is made up of a strong steel lattice that can withstand harsh weather conditions, and prefabricated concrete panels along with DIY finishes complete this versatile home. 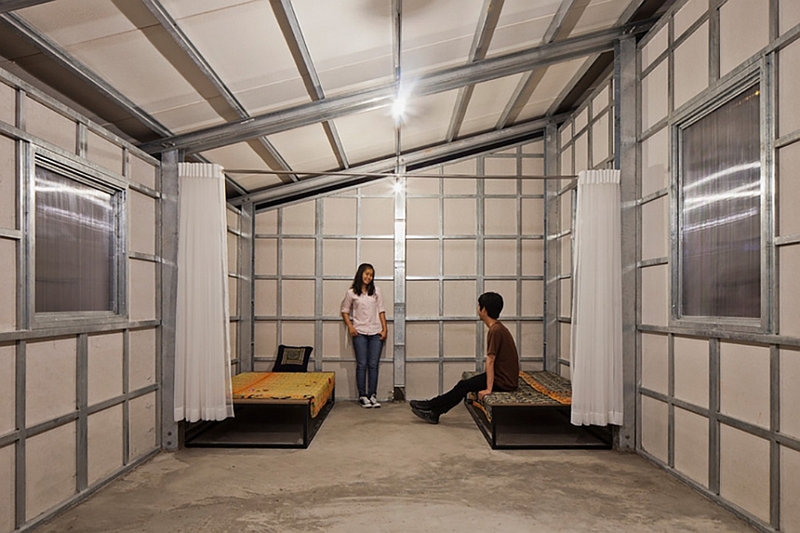 Its lightweight design ensures that it can be easily transported to any spot of your choice. 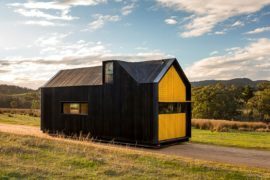 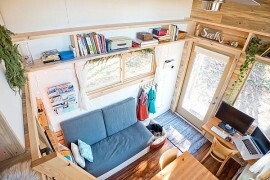 Barely taking 3 hours to assemble, the small home is perfect as a disaster relief shelter and also can serve as a cool, inexpensive vacation home. 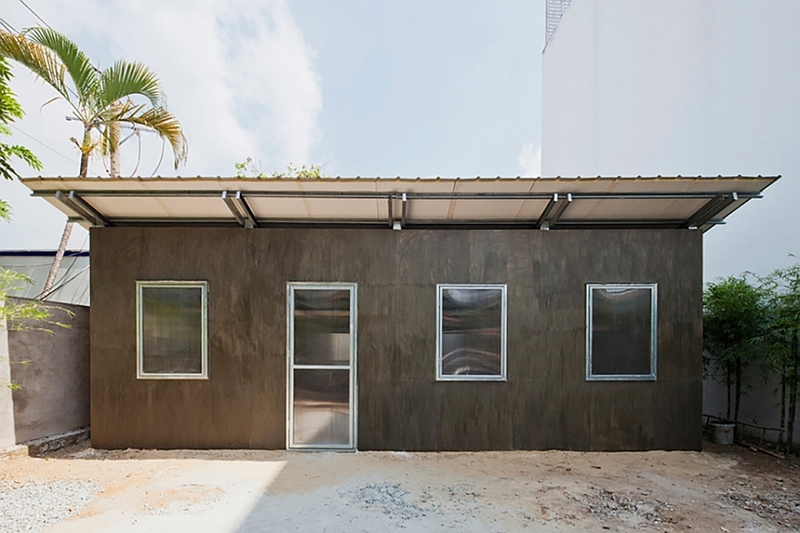 Crafted to fit the needs of those living in sunny, tropical regions, the smart prefab has large windows and open roof sections that aid in passive cooling. 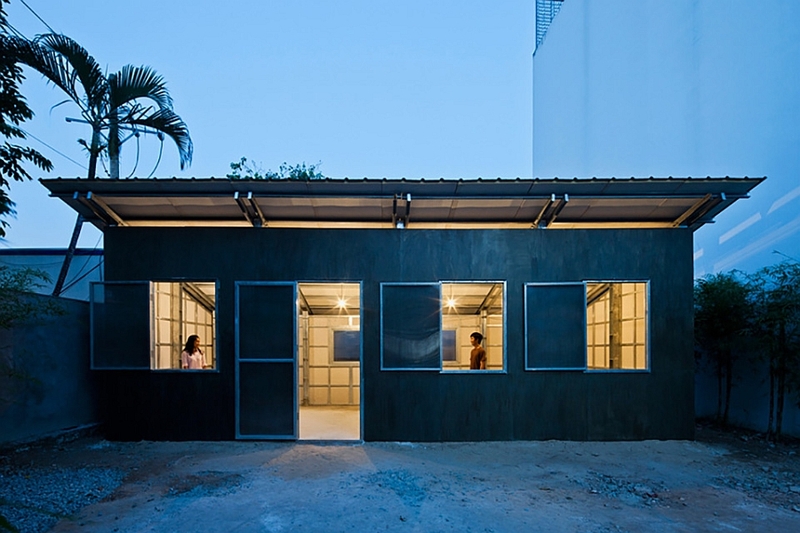 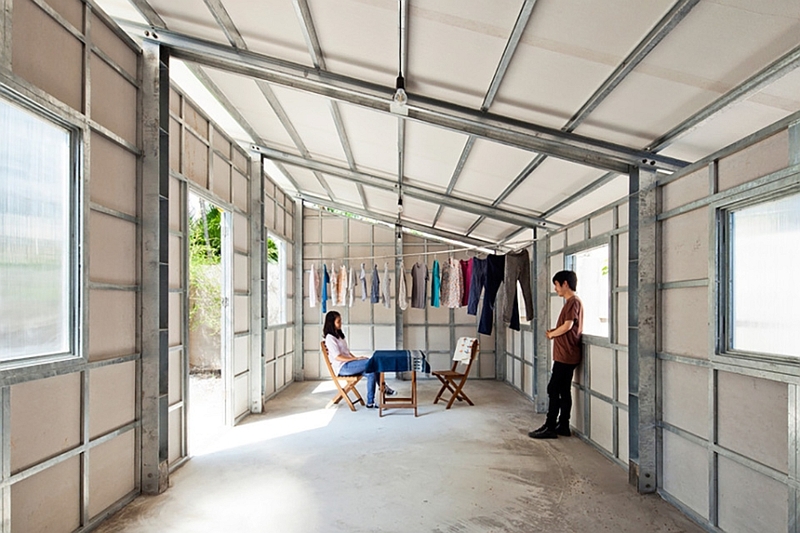 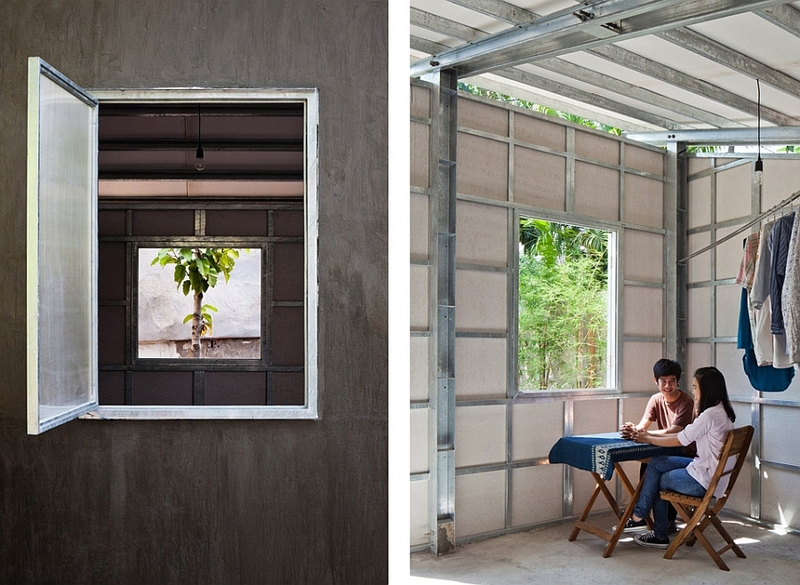 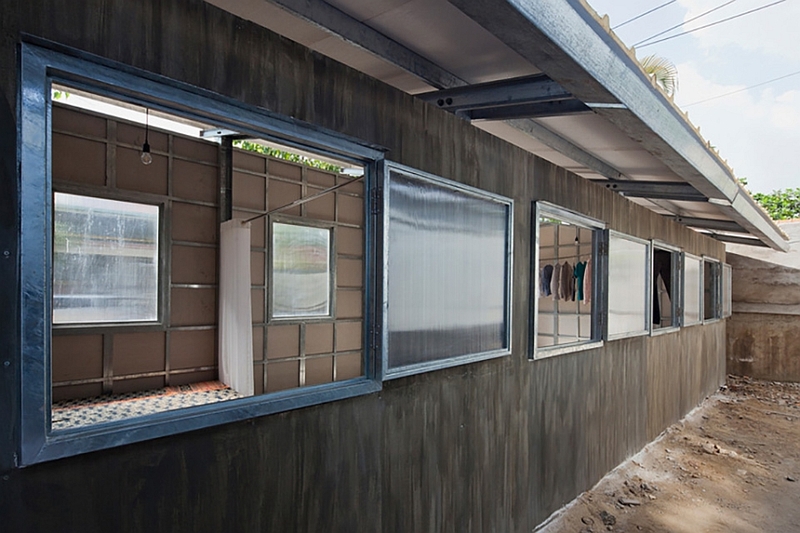 Apart from being economically viable for a large section of people in Vietnam and developing nations, the S House 3 is also eco-friendly with its ‘minimum-wastage approach’ to design and assembly. 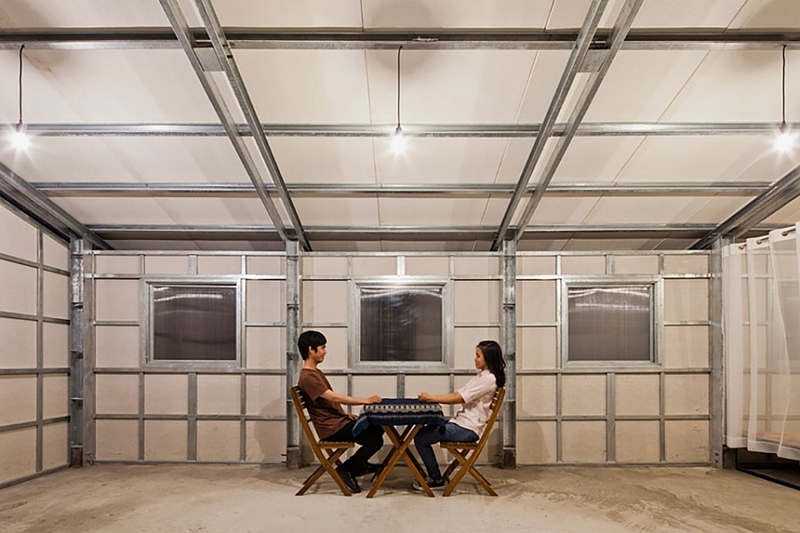 Once you have the outer shell of the house, you can customize the floor plan inside to suit your specific needs by installing additional walls, partitions and utilities. 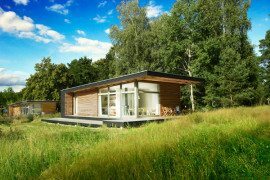 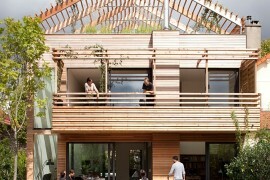 Just strap some solar panels to the roof of the prefab and you have a truly sustainable tiny home that could alter the market of affordable housing forever!